The diesel transfer pump articles provides guidance and review about different types, qualities, durabilities, and prices. This pump is used to transfer diesel. They are most commonly used in fuel stations where they are used to transfer diesel from the storage tank to the vehicles such as cars, lorries, bus, trucks, etc. Diesel transfer pumps must have precise flow rate to measure the amount of diesel transferred. However, they are also used in industries to transfer and feed diesel to their systems. Modern diesel transfer pumps consist of two main parts namely as the control system and the mechanical unit. Control system – this is an electronic part in the diesel transfer system. Control system gets input date like the amount of fuel to be transferred, fuel rate, system pressure, etc. Control system is connected to an embedded computer to control the pump and to get data like the amount of fuel being transferred, electronic display data and communicate total sales report of that particular pump. Mechanical unit –they are used to pump the diesel, control the flow of the diesel and measure the same. It compromises of the pump, motor, valves, hose pipe, nozzle and the digital meters. Flow rate – the amount of fuel to be transferred. It is usually measured as the volume of diesel flowing per unit time through the pump. They are measured in the Gallons per minute (GPM) or liters per minute. Power source – This pump is mostly powered using electric power, DC power or manually powered. When there is a fixed storage tank and pump, they are electrically powered. These pumps are powered in the voltage ranges of 110V, 230V or 400V.In remote areas where electric power is not accessible, DC powered motors are used. But DC powered pumps can only pump diesel for low flow rate applications. They operate at a voltage range of 12V and 24V.Manual pumps are used when the very low amount of fuel is transferred. Light vehicles operate with the pumps with a flow rate of 5-10 gallons per minute (GPM). 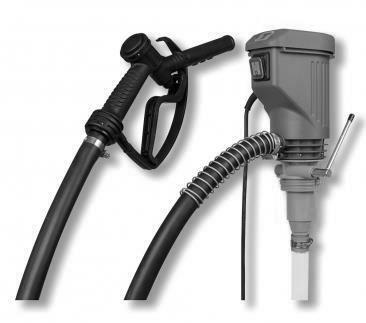 Heavy duty and commercial vehicles operate with the pumps with the flow rate of around 30 gallons per minute (GPM). Airlines fuelling pumps operate with the flow rate of nearly 1000 gallons per minute (GPM). Environmental conditions – the fueling pump must be isolated from the fire and other hazardous components. And the safety standards must be maintained at the fuelling station. For a few agricultural purposes, vehicles must be refilled remotely for continuous operation. In these vehicles, a fuel storage tank and the pump are installed in the vehicles. And the pump is DC powered to operate in remote conditions. Diesel pumps operate in places which are accessible by people, and a particular safety measure has to be followed to avoid the mishaps and accidents. Pumps should not be exposed to the flammable liquids, gases and other fire causing equipment. Pumps should operate in the dry conditions and not exposed to the water or rain. Power cables need to be isolated from the heat, sharp edges and other inflammable objects. Power cables should not be used for pulling the pump. They must be kept at a distance from the kids, bystanders, and visitors. Do not use the pump, when the control system is not functioning or in the case of small repairs. Check and maintain the pumps regularly. Disconnect the pump from the power supply while cleaning or repairing the pumps. Keep the pump area clean and dry. Turn off the vehicle engine while the diesel pump is in operation. These pumps are not only used in the gas stations but also in small-scale industries and agricultural purposes. Some of the market leaders in the diesel transfer pumps are Castle Pumps, Rotomatik Pumps, Chintan Engineering Corporation, Equipco and Central Tank Systems. Small hand powered pumps costs about 30$ to 40$ cheap. Battery powered pumps cost about 1500$ to 2000$. Diesel transfer pumps used in fuel stations cost 4000$.